In today's day and age, our evolving lifestyle, eating and drinking habits, pollution and a lot more contribute to a tired and dull face. And, waking up to that is the worst beauty nightmare for any girl/woman. Thus, it is advised to go for face detox at least once a week. 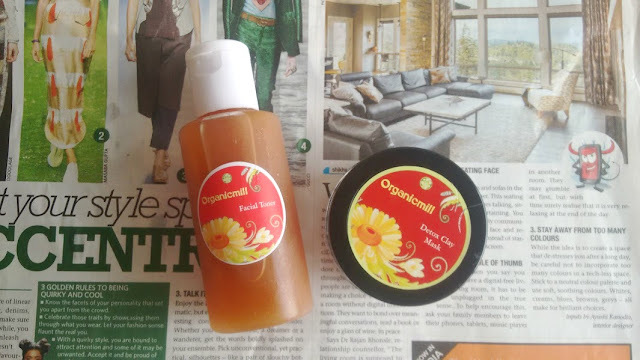 Today, I will be talking about two products namely, Organicmill Facial Toner and Detox Clay Mask that claim to help in achieving the goal of detoxing. So, keep reading to know if the products were actually able to do their job. I recently did a Brand Story on the brand which could be read HERE, in case you wish to learn more about the brand. Ylang Ylang, Tea Tree, Licorice, Vitamin E, Rose, Frankincense, Yarrow. Organicmill Facial Toner comes in a simple plastic bottle with a white coloured flip top cap allowing you to exercise control over the amount of product required for usage. Since I have not travelled with the bottle, I cannot comment if it's leak proof. The toner has a gold brown colour and smells majorly of ylang ylang (which happens to be one of my favourite EOs, btw!) with lower notes of rose and frankincense. The smell is a bit overpowering, so it might bother the olfactory senses of people with sensitive noses, however, I really like the fragrance as I find it very refreshing. As a toner: After washing my face with cleansing grains, I take a small amount of toner in a clean cotton ball and gently massage it across my face and neck. The toner removed extra grime which the cleansing grains could not. Upon consistent use, I noticed that the pores around my nose area were reduced and the skin appeared toned. As a moisturiser: I will be honest, I could only manage to use it mostly as a moisturiser (it is supposed to be used in the similar way as you would use a face cream, take 3-4 drops in your palm and massage is gently across the face) for 4-5 days because the toner was supposed to be stored in the fridge. Since I am hard pressed for time in the morning due to work, it almost seemed like a task for my lazy bum to rush to the fridge every time to fetch the product, don't judge okay? :P However, I can confidently say that it absorbed rather quickly and the toner did moisturise my skin for 4-5 hours before the need for reapplication arose. As a mixing agent for face masks: The toner, again, works great for mixing face masks, particularly the Detox Clay Mask sent by the brand. It instantly refreshes the skin with added benefits of the face mask. The toner is loaded with the goodness of ylang ylang EO, which is extracted by boiling its flowers. Ylang ylang is known to balance the moisture in different skin types accordingly. The addition of tea tree and frankincense makes it a great choice for oily and acne prone skin so the people with this skin type are in for a treat. The toner works great for all skin types and the fact that it works in more ways than one makes it an instant pick me up. Bentonite Clay, Kaolin Clay, French Green Clay, and Rose Clay. With a simple, no-frills packaging, the mask comes in a reusable jar. 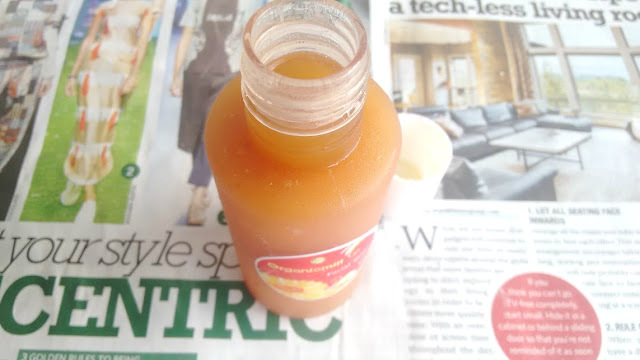 Since it is an acrylic jar with an inner disc to further protect the content, the jar is sturdy, hence making it travel-friendly. 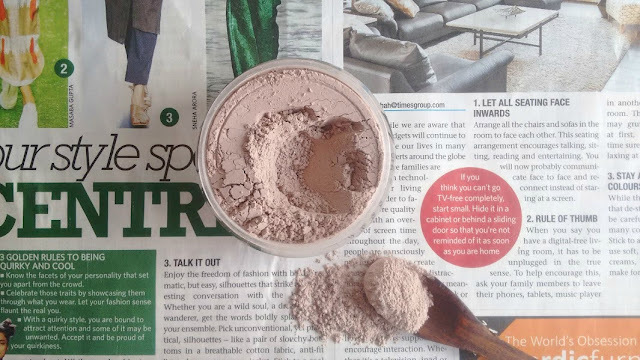 Dry powdery in texture, the mask is dull rose in colour, with no distinct fragrance. I scoop out the required quantity of the mask in a clean bowl using a dry spoon (please avoid using wet spoon/fingers) and create a thin paste using facial toner by the same brand. I have a moderately oily T-Zone and dry cheeks, forehead and this mask does a great job of hydrating the skin when used with the toner from the same brand. Besides hydrating the skin, the mask also removes impurities and detoxes effectively. My skin feels super fresh and the complexion is brightened up instantly as though I just had a nice facial. It is very rare that I get this impressed with a face mask! The mask is made using finest of clays which are known for their detoxing properties. It leaves the pores clean and the skin nourished from within. Bentonite clay and Kaolin clay are known to benefit oily and acne prone skin. People with dry skin can also mix the mask with milk/yogurt for optimum results. The mask works great in making the soft and smooth. It pulls out impurities and detoxes the skin like a champ. The toner tones the skin and reduces the pores effectively. Both the products do not dehydrate the skin when used properly. The products didn't cause any irritations (however a patch test is still recommended). A little amount goes a long way. If used properly and wisely, the products are going to last long. Might seem pricey to some. The toner is priced at INR 300 for 100 ml whereas the mask is priced at INR 400 for 70 gm. The products are available for purchase at the brand's Facebook page HERE. For queries/questions, please get in touch with the brand owner Mrs. Dishi Jain on +91 9971648091. Yes, of course! These products are real superstars. They work effectively giving stupendous results. Has any of you used any product by Organicmill or is eyeing any product(s) in particular? Let me know below.